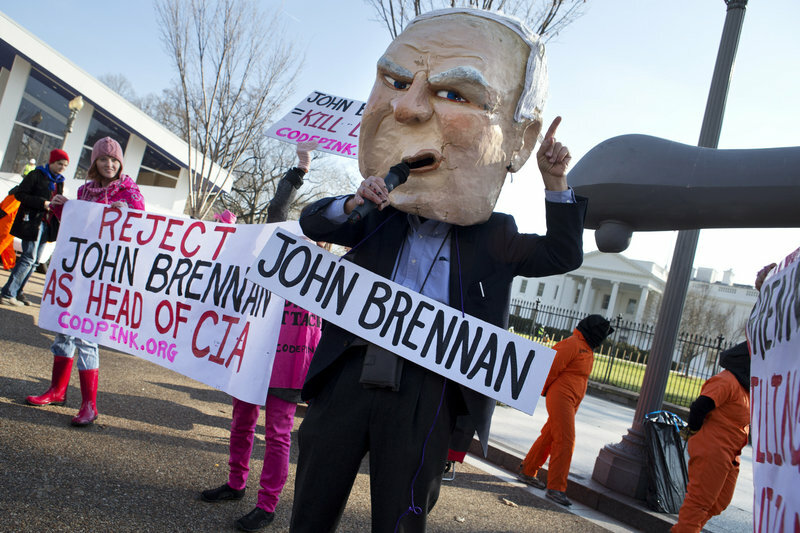 John Brennan will be grilled on drones and torture as his hearing gets under way. A Senate hearing on John Brennan’s nomination to head the CIA could lay bare some parts of the secret war against al-Qaida: lethal drone strikes from covert bases against even American terror suspects, harsh interrogation methods and long detention of suspects without due process. Some of the practices produced revulsion among some in Congress and the public, but the outcry has been muted because Brennan and others say that harsh and secretive methods have saved American lives. Those issues will be front and center in the Senate Intelligence Committee hearing Thursday for Brennan — a chance for him to answer criticism that he backed the detention and interrogation policy while he served at the CIA under President George W. Bush, charges that stymied his first attempt to head the intelligence agency in 2008. In answers to questions from the Senate Intelligence Committee before the hearing, Brennan said he was “aware of the program but did not play a role in its creation, execution or oversight,” and added that he “had significant concerns and personal objections” to the interrogation techniques. He wrote that he voiced those objections to colleagues at the agency privately. He defended the missile strikes by Predator or Reaper drones as a more humane form of war. Aides have portrayed him as cautious in their use, restraining others at the CIA or military who would use them more often, even though as the White House’s counterterror czar he has presided over an explosion of drone strikes in Pakistan, Yemen and Somalia. Fewer than 50 strikes took place during the Bush administration while more than 360 strikes have been launched under President Obama, according to the website The Long War Journal, which tracks the casualties. Administration officials say Brennan would further limit the use of drones by the CIA and leave the majority of strikes to the military. Sen. Dianne Feinstein, D-Calif., and others have pressed the White House to show them the classified legal memo that outlines specifically when drones and other lethal strikes may be employed against al-Qaida. An unclassified Justice Department white paper was made public this week, outlining America’s authority to kill suspected terrorists with drones. The CIA’s drone strikes primarily focus on al-Qaida and Taliban targets in the tribal regions of Pakistan, while the military has launched strikes against al-Qaida targets in Yemen and Somalia. The CIA also carries out strikes in Yemen from a base in Saudi Arabia, including one that killed three American citizens: Anwar al-Awlaki, his 16-year-old-son and Samir Khan. Al-Awlaki was linked to the planning and execution of several attacks targeting U.S. and Western interests, including the attempt to down a Detroit-bound airliner in 2009 and the plot to bomb cargo planes in 2010. His son was killed in a separate strike on a suspected al-Qaida den. Khan was an al-Qaida propagandist. The location of the drone base was first disclosed by The New York Times in a story that previewed Brennan’s hearing, highlighting the sensitive issues that the hearings will bring into the open. The Associated Press first reported the construction of the base in June 2011 but withheld the exact location at the request of senior administration officials. Once it was disclosed, the AP considered the agreement to be no longer in place. Democrats in Congress have begun to express stronger opposition to the use of drones, but on Wednesday Obama found an unlikely ally in Republican Sen. Lindsey Graham, who expressed his “100 percent” support of the use of drones against terror suspects. Brennan will also face questions about charges that White House officials leaked details of the administration’s national security policies, including its cyberattacks against Iran’s nuclear infrastructure, to burnish Obama’s standing as commander in chief ahead of last year’s presidential election. The Obama White House launched a sweeping investigation led by two Justice Department lawyers in response to congressional ire over the leaks. 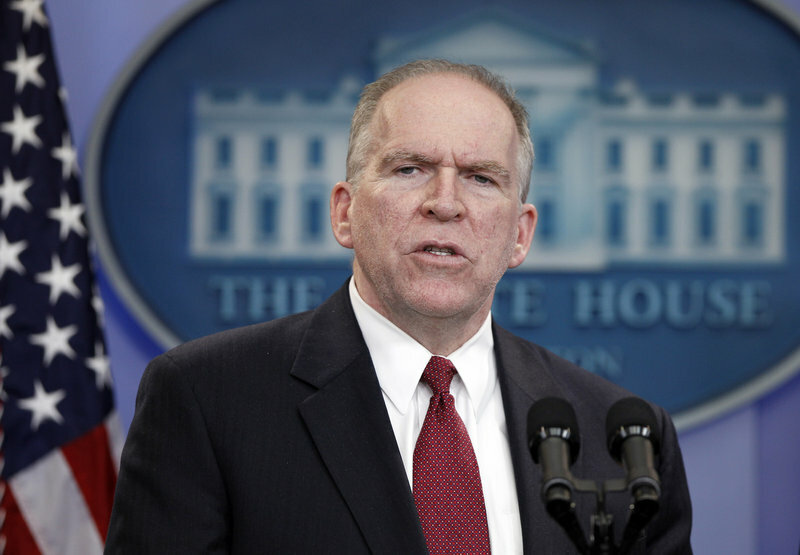 But White House officials have defended briefings given by Brennan as authorized and backed by the president. House Intelligence Committee Chairman Mike Rogers, R-Mich., who has strongly criticized the administration’s release of information on its national security programs, predicted “lots of questions about leaks and detention” at the Senate hearings, but he also predicted Brennan would ultimately be confirmed. When Brennan joined the White House as the top counterterrorism adviser in 2009, he publicly decried the interrogation practices, saying they backfired and produced more terrorists, leading him to urge the newly elected president to stop them. That represented an evolution from earlier statements. In a CBS News interview in 2007, Brennan acknowledged the practices came close to torture, but seemed to defend them.